Our music services are customized to your specific event. We utilize the latest technology to assist in providing a great experience for your event. We provide sound, lighting and MC services that create a fun filled environment to enchance your special event. .
Free initial consultation for your event. 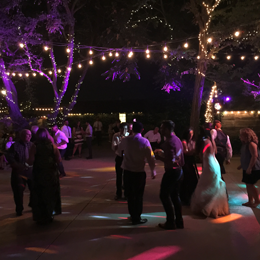 Star Soundz is the premier DJ service and entertainment company for special events in the Central Valley. We specialize in weddings and private parties, but also can be the master of ceremonies for your special occasion. We encompass more than 10 years of experience in the event business and have the ability to create a great atmosphere for your event. Our company combines the power of music and event coordination skills to create a great celebration and a night to remember. We meet with you to create an agenda to your satisfaction and that you approve so that the vendors follow the evening's itinerary. 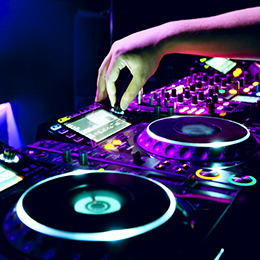 Our Team delivers exceptional DJ services, staying engaged with the audience and keeping the energy up on the dance floor. State-of-the-art technology, including lighting and AV equipment, is brought with us to every event. Rely on the entertainment professionals that people trust and book your next event with Star Soundz. Our mission is to meet and exceed our customers' expectations to create an amazing and memorable event. Thank you for your interest. Please provide information pertaining to your event. We shall respond as soon as possible. Proudly Serving Clients in the Central Valley & Surrounding Northern California area.